Mason Cosmetic & Family Dentistry is proud to serve not only Grapevine but the greater Grapevine area. Our staff constitutes proud members of the community we serve. Not only are we are proud to offer outstanding service to Grapevine, Texas, but we are happy to serve our patients in Grapevine, Grapevine, Colleyville, and Southlake. It’s worth the trip for the change it will make in your life. 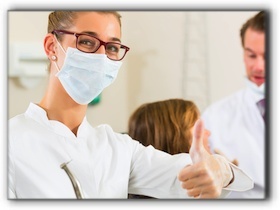 We offer many services above and beyond easy cleaning and oral care instruction and guidance. While oral hygiene is important, sometimes advanced dentistry is needed for a true smile makeover. Come see our office for cosmetic dentistry. Find out if you’re a candidate for CEREC same day porcelain crowns. Ask about the benefits of dental implants. Your smile is our priority. We want your personality to shine. Call 817-481-4717 or visit us online at https://www.drmasondental.com/meet-dr-mason/. We’re happy to make you an appointment for any of the following services: periodontal disease treatment, cosmetic dentistry, implant restorations, sedation dentistry, or implant-supported dentures. Ask us about Invisalign braces, porcelain veneers, and tooth implants. We have been passionate about improving lives with dental expertise since we opened our doors in 1993.